Today, Psyonix announced a new promotional partnership with Major League Baseball, and revealed the MLB Fan Pack DLC for Rocket League. 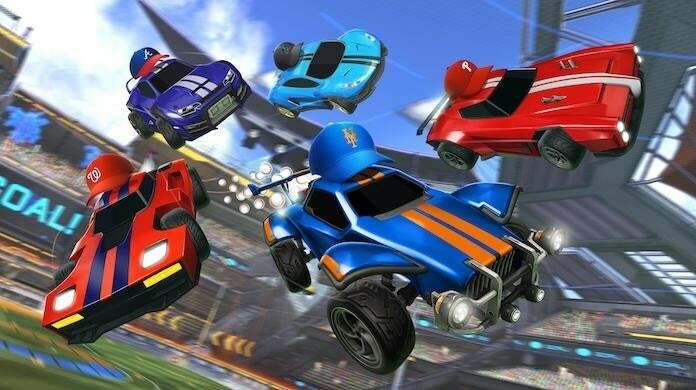 Similar to the NBA Pack released a couple of years ago, the MLB Fan Pack will allow Rocket League players to rep their favorite MLB team with officially licensed cosmetic items. The DLC add-on will release next week on March 25 and cost $2.99. Unfortunately, the Fan Pack doesn't feature a Marlin-shaped care or anything too crazy, just player banners, flags, and baseball cap toppers for all 30 teams in the league. There's also a special baseball-themed boost and an MLB-branded flag and player banner included as well. You know, just in case you're a fan of every team and can't choose who to rep.
As some Rocket League fans have pointed out, similarly to the aforementioned NBA Pack, outside North America, this new pack wont be very appealing, because outside of the United States and Canada, baseball isn't very popular, let alone the MLB. There's a few exceptions -- like Japan and parts of Central America -- but for the most part, the MLB is an American thing. In other words, perhaps it would have been better to do something soccer-related, whether with FIFA, the BPL, or the MLS. Anyway, for more details and media on the MLB Fan Pack, be sure to check the game's official website for a slab of detailed screenshots showing the content off. Rocket League is available for PS4, Xbox One, PC, and Nintendo Switch. At the moment of publishing, there's still no word of a new Rocket Pass, but you'd assume one is in the pipeline and coming in the near-future. For more news, media, and information on the popular sports game, be sure to peep all of our previous coverage of the title right here. And as always, feel free to leave a comment or two letting us know what you think or hit me up on Twitter @Tyler_Fischer_ to talk all things Rocket League. Will you be copping the MLB DLC? If not, what fan pack would you like to see Psyonix do?